Comment: The prophet Isaiah assures readers with good news of God’s steadfast presence among us. God has called us each by name, claims us as God’s own, and promises to be with us through all the water and fire we may encounter in life. 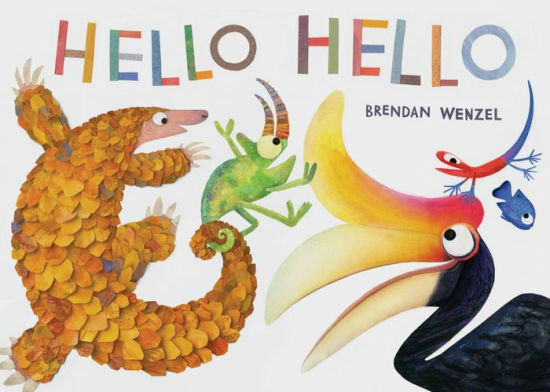 In this beautiful picture book filled with colorful and textured images of diverse animals, Wenzel celebrates both the diversity and the connection that is present in the world. Despite the differences that exist between them, the animals share in common with one another their common greetings of “hello,” reminiscent of God’s “hello” to us in this week’s text from Isaiah. The “hello” greeting transforms a group of individual animals into a community. At the end of the book, all of the animals are together and the last page reads, ‘A world to see, A world to know, Where to Begin? Hello, hello.” In this world to see and to know, we begin with God’s “hello” to us of calling us each by name and remaining present with us throughout all our seeing and knowing in life. Like the animals in this book, we are in community with one another, bound by God’s steadfast presence among each of us. Comment: What does it mean to be kind? This is the question that Miller explores in Be Kind. After witnessing a new classmate spill grape juice all over herself, a little girl considers what she should do. Her mother’s advice to “be kind” is on the forefront of her mind as she considers her response. Readers see that kindness exists in different ways when we take the time to care for one another. In this week’s text from Acts, we witness Peter and John caring for the apostles. Peter and John demonstrated kindness when they prayed over the other apostles that they might receive the Holy Spirit. Praying for others is one way that we can care for others and enact kindness. Children and adults can explore together how they have been cared for before, as well as how we might be kind to others, like the classmate cared for her new friend and like Peter and John prayed for the other apostles. Comment: The gospel writer tells us that the people were “filled with expectation” regarding John’s identity and their understanding of the Messiah. When John reveals that he is not the Messiah they were expecting, the people’s expectations might have shifted. And then when Jesus, the Messiah they were expecting, was baptized, the heavens were opened, and a voice from heaven said, “You are my Son, the Beloved; with you I am well pleased,” one can imagine that the people’s initial expectations were exceeded. 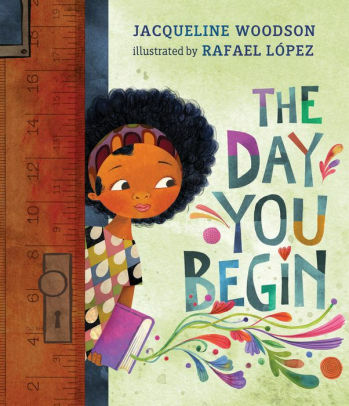 In The Day You Begin, Jacqueline Woodson demonstrates the exceeding of some expectations, and the surprising gifts that might occur in the wake of those exceeded expectations. With lyrical language, Woodson writes, “There will be times when…” In many of those times, expectations were exceeded and blessings of connection and acceptance replaced expected worries of loneliness and isolation. When have your expectations been exceeded? When have you discovered something greater than you initially anticipated? Thanks to Union Presbyterian Seminary alumna Rosy Robson for writing this week’s Revised Common Lectionary Links. Lectionary Links (RCL): January 13, 2019 by Storypath is licensed under a Creative Commons Attribution-NonCommercial 4.0 International License.